We are proud to present you our May product update that will help you save time while delivering high-quality work for your clients, for your company or, why not, for your own business. Read on and learn about all the improvements and large backlink profiles. We hope that you will enjoy it. 1.1 Why this matters for you? 2.1 Re-Run Your Link Detox Report NOW! 7.1 Why do I suddenly see so many more backlinks? 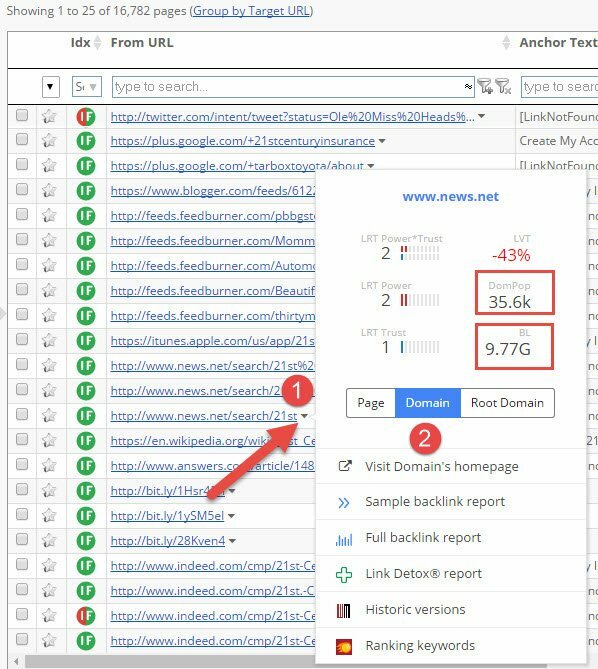 7.2 Why do I need to analyze all my backlinks? 7.3 Can I download all the raw link data? We are proud to present to you our May product update that will help you save time while delivering high-quality work for your clients, for your company or, why not, for your own business. A new Link Building and SEO podcast series with Christoph C. Cemper and the most famous people from the Online Marketing and SEO world. Read on and learn about all the improvements and plans. You know how it goes in politics. The weeks before an election are stuffed with polls after polls, trying to predict its results. In the end, the election turns out totally different than expected. Link Audits are even harder. You cannot sample because you don’t predict A or B. You cannot analyze a sample of your links and extrapolate the results to your ten, fifty, or a hundred million links. If you would do, the sample could give you a false sense of security because you only see the fraction you cleaned up. We call this a bad service or simply incomplete work. We at LinkResearchTools (LRT) don’t care about the polls; we care about results. We don’t show you some pretty numbers; we show you the truth. Our job is to deliver WOWs. We WOW ourselves, we WOW our colleagues, we WOW our clients. And so should you! 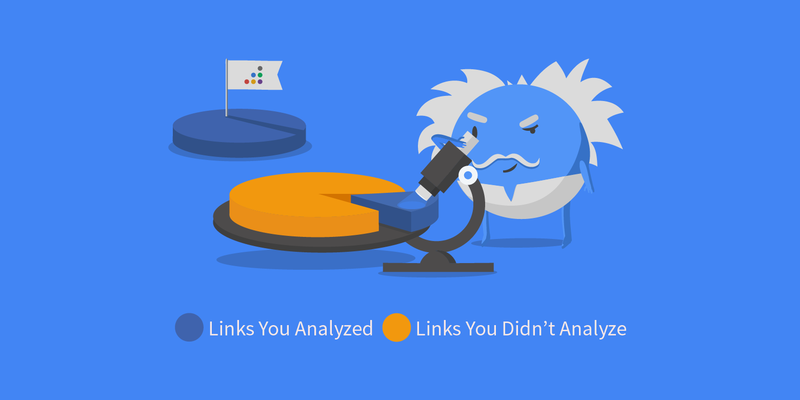 Therefore we want you to always analyze the full backlink profile. So we decided to make partial Link Audits no longer possible in Link Detox (DTOX). It is all or nothing. 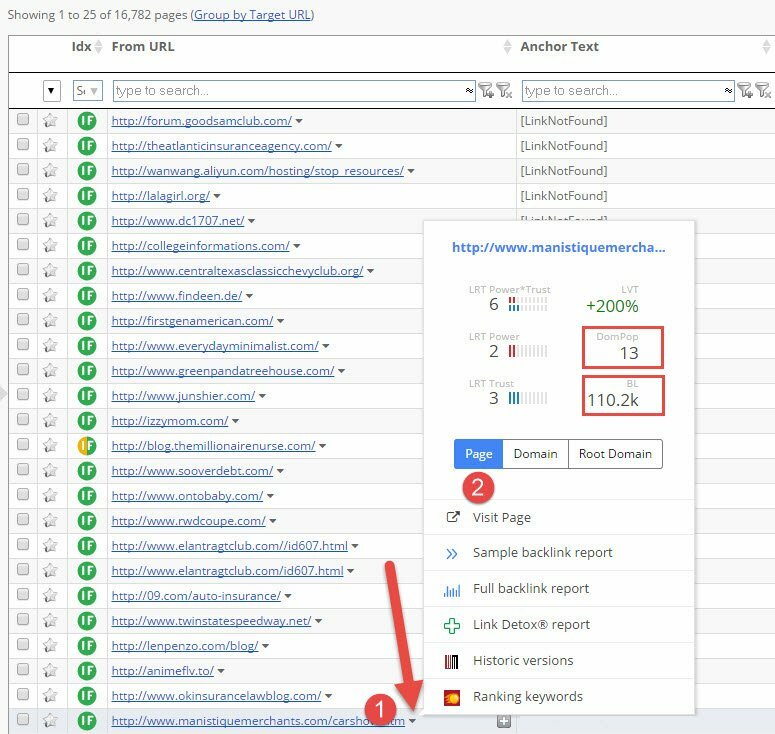 Partial Link Audits don’t WOW your clients. Only if you analyze 100%, you provide them with a proper service. N.B. : For five years now we recommended to always upload all extra data, and this is still true. The bigger, the better. Because we want YOU to WOW your clients! Get maximum confidence by still saving time. Analyzing only 10% of your clients’ links means providing them with a bad service, which will reflect negatively on you. Why even bother analyzing that slice of the cake if you are risking a penalty anyway? Picture all the voters who did not take part in your 10% sample as the owners of spam, scraper and malware sites. These people just want to watch the world burn, and therefore deserve a spot in your clients’ Disavow Files. These sites also DO build new links on a continuous basis, maybe even to your site. An ongoing Link Audit process is therefore imperative. 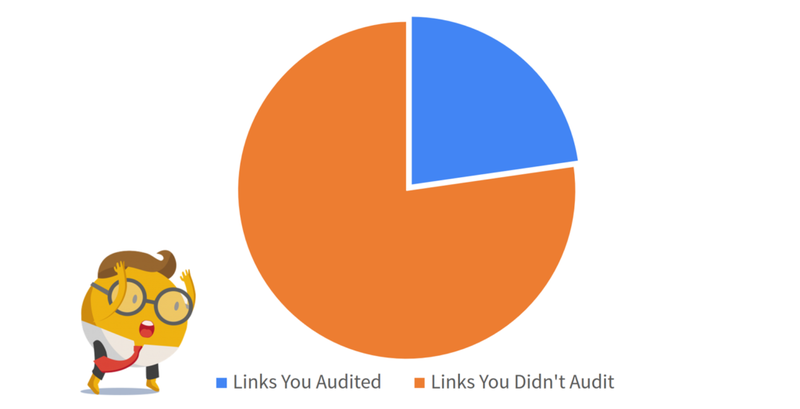 Doing a Link Audit just once is like brushing your teeth and then never brushing them again. Speaking of Disavows: when did YOU last update your Disavow File? 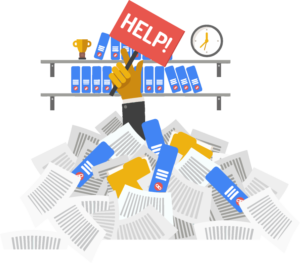 Did you think about re-doing all your link audits from the past, now that we find SO much more data? Don’t keep this secret to yourself. Share it with your clients. Tell them how many of their links you can now find and why you can do the job so much better than before. Tell them, that no one knows their website’s links better than you and provide them with a complete and continuous Link Audit service. Deliver them a WOW! In last month’s release, we announced a major change when it comes to the link audits for large backlink profiles. We now see a lot more links, thanks to an additional external link data source we didn’t have in the past. Yes, LinkResearchTools can now aggregate link data from 25 different sources. We added another commercial link data source included in the Superhero plans and up so you can see so many more links without extra uploads. In many cases, this means you can now see and work with much bigger backlink profiles. Last month, we only showed the bigger estimated number of links in Link Detox (DTOX), and we encouraged our users to re-run old DTOX reports so that they can take advantage of the full power of the improved LinkResearchTools (LRT). We hope that you all did that. If you didn’t do it yet, we encourage you to re-run your old Link Detox reports today. It’s your chance to see your full backlink profile. 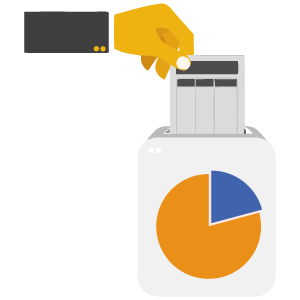 We bring all this link data at your fingertips. All thanks to the hard work we’ve put into providing our users with richer link data. The great news that we want to share with you today is that we now show the bigger backlink counts in all the tools. You will see the amazing power of our 25th backlink source in many places inside LinkResearchTools (LRT), as follows. You’ll notice a much higher number when it comes to the referring domains (DomPop) and the number of linking pages (BL) for pages in the context menu. You can activate the Context menu by clicking on the little arrow you see next to each link (step #1 below), then select Page from the menu (step #2 below). You’ll also notice a much higher number for the referring domains (DomPop) and the number of linking pages (BL) for Domains. You can activate the Context menu by clicking on the little arrow you see next to each link (step #1 below), then select Domain from the menu (step #2 below). We now also find a much higher number of referring domains (DomPop) and the number of linking pages (BL) for Root domains. You can activate the Context menu by clicking on the little arrow you see next to each link (step #1 below), then select Root Domain from the menu (step #2 below). 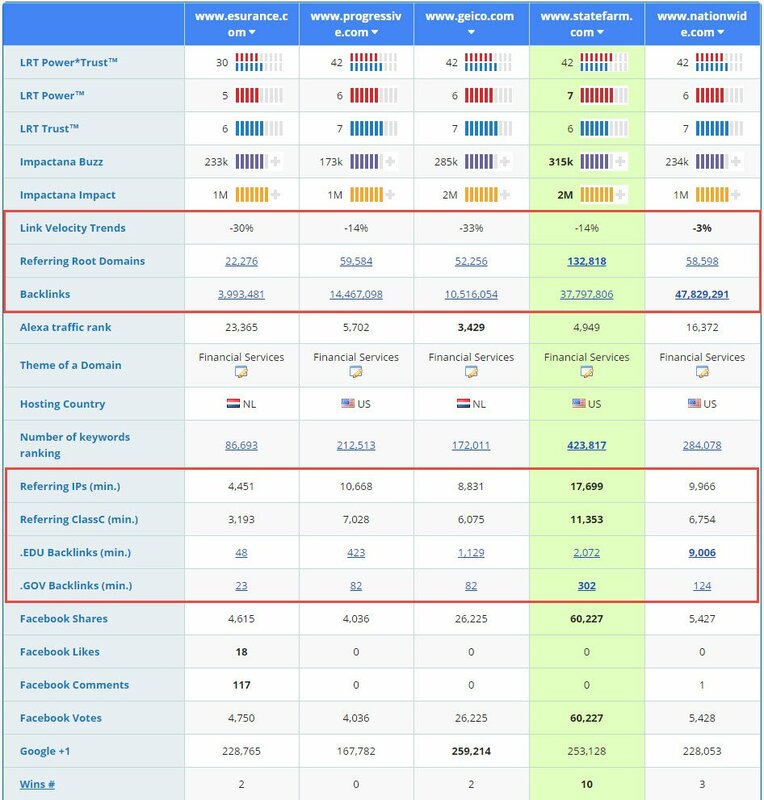 You will see much higher numbers for Referring Root domains and, of course, a higher number of backlinks in the report information section at the top of your reports. We decided to have the Link Velocity Trends (LVT) metrics next to the Referring Root Domains and the Backlinks. Why? Because it makes more sense for our users. 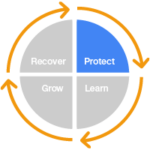 The great change that you see is a much higher number of Referring Root Domains and Backlinks for the domains you’re comparing. You can show your clients how their backlink profile looks when compared to the ones of their competitors by looking at a bunch of important SEO and Social metrics. You get an idea of the amount of work involved in auditing your client’s backlink profile, as well as the resources you need for doing the competitive domain research. If you’re dealing with a client who has a substantial number of backlinks and has competitors with big backlink profiles, you need to think twice when you speak to him about the final cost. You want to audit your client’s full backlink profile, not just a part of it. That’s why you need to estimate the work volume in advance, so you don’t end up working for free or delivering incomplete results. You must look at all the links, otherwise, how could you be sure that you included all the risky ones in the disavow file? That’s not a professional approach. 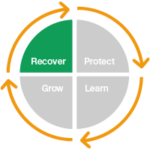 You need to focus on quality, the same way we do at LinkResearchTools (LRT). You can spot unusual spikes in the Link Velocity Trends (LVT) for your potential client. If they lost rankings, you can dig deeper and see if they are the victim of a negative SEO attack. versus the backlink counts, we could see after doing a Re-Run of the same report at the end of April. However good to have a list of all the links and a table with 97+ SEO metrics, some people find it easier to grasp information visually; others find it easier to listen. If you want to explain to your manager or to your colleague why it’s smart to build more links of a certain type, why it’s not good to use too many widget links, why something looks highly unnatural in a backlink profile, a visualization is the answer. Because you save a lot of time for you, for your boss, for your co-workers. Because we all understand visual information and we’re able to grasp it much faster than we do with the tabular information. Different people grasp information differently, and your business message has to be available in every form so that it can capture the attention. When you try to explain to a client why you need to do this and that for their backlink profile, the Link Detox (DTOX) visualizations will help you big time. Until now you had to export all the data as a .csv file, analyze it in an Excel sheet and draw these graphs for your clients or your managers. Now you can see the link profile histograms right in the report results and you save a lot of time. 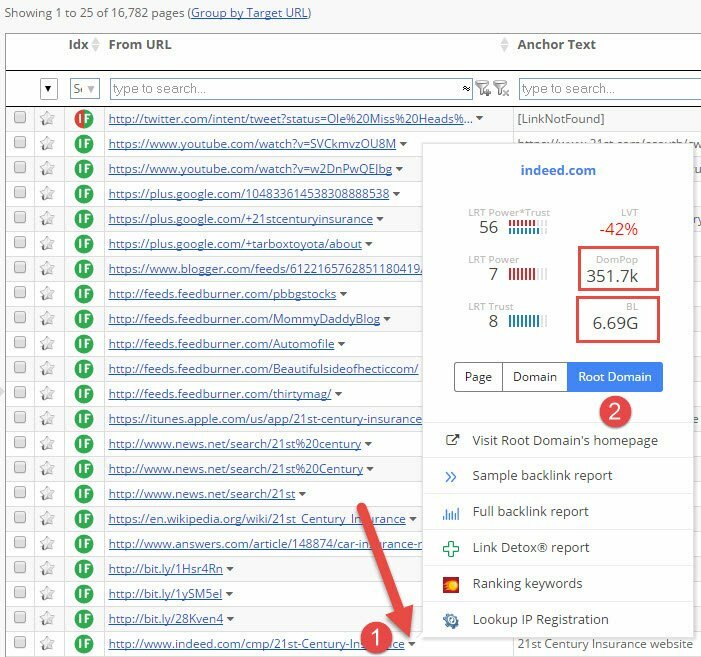 After you classify 80% or more of your anchor texts and Re-process your Link Detox report, we show you the distribution of the Brand, Compound, Money, and Other keywords in your backlink profile. Keep in mind that you need to have a good mix of all these different keyword types. Too much of anything is most likely bad for your backlink profile, but this also depends a lot on your niche. 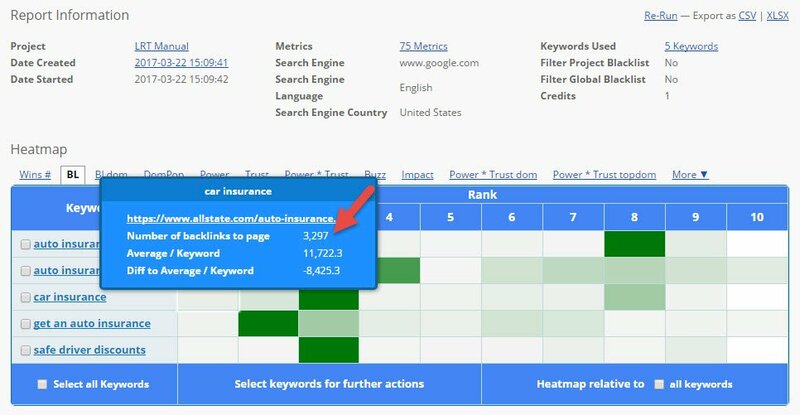 Remember, to understand natural keyword ratios in your niche, you need to do a competitive domain analysis. Find out if you have too many money keywords or too little when you compare your backlink profile to the ones of your competitors. You want the pages that are linking to you to be in indexed by Google and in good standing. The indexability overview histogram gives you a quick idea of the quality and value of your backlinks. If a website is not in the search engines index, it can have a penalty; it can be hacked or just dead. You don’t want those links. The LRT Power*Trust determines the quality of a website according to its strength and trustworthiness, allowing you to do a quick evaluation of the overall impact of a link. The more Power*Trust a website has, the stronger it is. So Power*Trust 0 websites are the weakest sites, Power*Trust 100 sites are the strongest ones. If these ratios differ a lot from the ones of the competitors, this seems unnatural. This is something that could trigger a penalty any time. From the LRT Power*Trust histograms, you can get a quick idea of the strength and trust of a backlink profile. The Link Velocity Trends (LVT) metric describes the speed of link growth of a domain, and it empowers you to understand how natural or unnatural the backlink growth for the linking domains is at the moment of analysis. Ranking without links is really, really hard, that’s why it’s always good to have a closer look at the number of backlinks that the pages or domains linking to you have. KwDomain indicates the total number of ranking keywords for the whole domain (according to SEMRush). A domain that ranks for multiple keywords is often strong and trustworthy. Links can be text links, image links, frames, redirects, mentions, etc. The most successful sites have a mixture of different link types. In Link Detox (DTOX) you will now see the types of backlinks that your profile has. 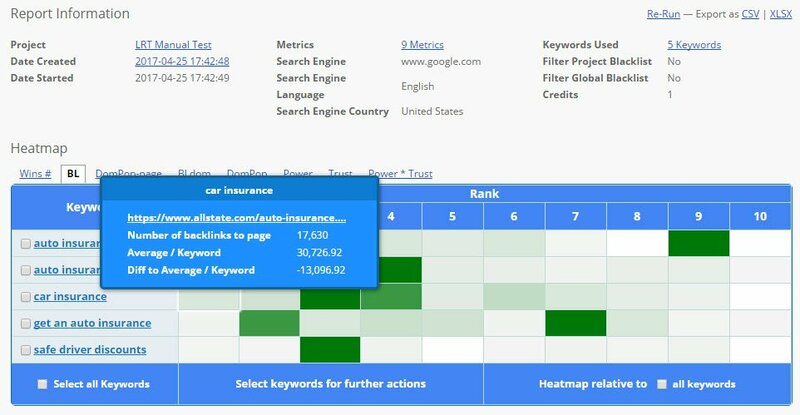 But we strongly encourage you to dig deeper and analyze your competitors using the Competitive Landscape Analyzer (CLA) tool. Why? Because the domains that Google lists on the first search results page have similar link type ratios. If your domain does not have a similar ratio to your SERP competitor’s domains, it could look unnatural to Google. You must aim to have similar link type ratios to your competitors that rank for similar keywords, in your language and your country. The Site Type metric shows you information about the kind of websites that are linking to you. You don’t want to have more Link Directory or Forum links than General or blog. That can look pretty spammy to Google. You want to have links from websites in your niche. The Theme overview can point out issues that might make your backlink profile look unnatural to Google. If you have an online store selling bicycles, you don’t want that the websites linking to you come mostly from “Betting” themed domains. Paragraph Link = paragraph linking is a way to lead readers to a destination in a certain essay, making writing more smooth and coherent. This means making connections between different paragraphs in an essay to make your writing logical. Link List = a link located on a page that merely only contains links to other pages. Footer Links = the "Footer" is the bottom of the page, so "footer links" are the links at the bottom of the page. We have seen many penalties for that websites got for using Widget links. The histogram allows you to quickly spot any atypicality when it comes to the location of your backlinks. The main rule is not to overdo it and try to fit in your niche. We strongly encourage you to dig deeper and analyze your competitors Link Location distribution using the Competitive Landscape Analyzer (CLA) tool. When looking at Country Popularity, you can see at a glance if you are analyzing a lot of links from a country that doesn’t fit in your niche. These would not be a good place for your links. There’s an excessive number of new TLDs that got more and more abused for web spam. One of them is the .xyz TLD, and Google’s parent company Alphabet seems to be one of the few legit domains in use of that TLD for example. Anyways, in March we introduced a new Link Detox Rule (SUSP34: Link from a Top-Level-Domain that is often used by spammers) to flag such over-spammed domains a lot better than we did in the past. The TLD chart can help you spot if you have a high number of weird TLDs linking to you. You’ll want to have a closer look at that; it can also be a negative SEO attack. The TitleRank allows you to determine the ranking position of the linking page title of the homepage in the Google search results. When a website doesn’t rank for the title of its own homepage, then there’s a problem. It could even have a Penalty. The HTTP code link profile histogram also helps you get a better idea of the quality of your backlink profile. If your backlinks come from 404 pages, that’s not very helpful. You can then do a further investigation, and if you find out that some of the links from pages that have a 404 status were very strong ones, you can contact the webmasters and ask them to fix the 404 page, redirect it or link to you again from another relevant page. Would you like to have access to all this data? 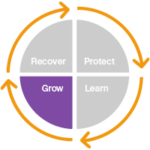 Find the right LinkResearchTools (LRT) plan for your business. We know what you think. “So many links? How will I ever be able to audit all of those?” Don’t worry. We also improved our Link Detox Screener again to make your Link Audits even faster. We now show you the Anchor Text, Link Status AND Link Type in the table before the preview. This way, you know exactly what you need to look for on that page. We also highlight text AND image links for you, so you can spot them in no time. You can also easily move the code-snippet in the corner of your choice by clicking on the arrow. Are you still using your mouse to audit all your nasty backlinks, or are you already using your keyboard? Give it a try. It’s at least twice as fast AND you can drink a coffee with your other hand. 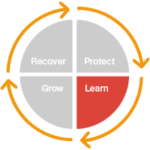 We are also working on a whole new LRT Certification Program to make only the best SEOs in the world even better. 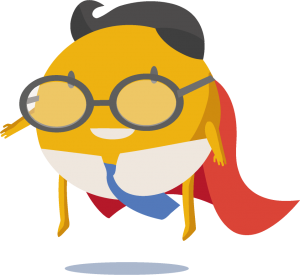 Many Superheroes and Agencies already know what you could achieve with our previous certifications, so we decided to tease the rest of you about what opportunities you will face this summer. If you have an Agency plan, you and your employees will be able to participate in a personal LRT training worth € 2,000 at no cost. You will join a two-day-training and learn all you need to know about Link Audits, Link Building, and Competitive Analysis. You will take away priceless knowledge and steps you can immediately perform with your clients when coming home from Vienna. You will get personal Account Audits by the team of LinkResearchTools (LRT) to make sure you provide excellent service with LinkResearchTools (LRT) and utilize all benefits. Once your Agency has become Certified, you will have the right to use the LRT Certified Agency Badge in all your marketing material and brag that you know the tools better than anyone else. You will get the most advanced white glove onboarding, and support by the team of LinkResearchTools (LRT) and other agencies will envy you for your success. We will also empower our Superheroes with the chance to become LRT Certified Professionals and Xperts by participating in the personal training. This way, even freelancers get the chance to shine in front of their clients (and competitors). In case you missed it, I decided to share my link building and SEO knowledge in a podcast to help you learn how to work more efficiently. You can learn some important SEO tips even when you’re on your way to work, during a break or while going for a walk. Apart from my podcasts, I also have over 40 different famous SEOs and Online Marketers that agreed to share their best tips with you in my podcast series. You will have at least one great takeaway from every podcast, so you can go ahead and try it for your website. I know that you don’t have time, but who has? I have no time either. That’s why my podcasts are focused on things that you can go ahead and do right away, so you can improve your website and overall SEO and Marketing strategy. John Doherty from Credo gives a couple of exclusive SEO tips that you can go ahead and do for your website right away. He used these tricks to push his client's rankings forward, and he saw great results. Learn why you shouldn’t hire an amateur to do your SEO and how to do a link audit for 1M or 100M backlinks. Dan Thies from the Marketer's Braintrust has some great link building tips for you. Don't worry, there's no "beg" or "buy" involved. Learn how to get to the people who are interested in what you do and make them want to link to you. You’ll also get some tips on how to save time by using the right tools in your SEO and marketing mix. Neil Patel gives a couple of exclusive SEO tips, especially for agencies and brands. Learn how to approach a client and explain that SEO is important, even though it takes time. Learn how to explain why it's not accurate to do projections with SEO related efforts. Learn about the arguments he used for his clients in the past. It worked for him; it will work for you too. Marco Janck from Sumago speaks about SEO and Link Building with Christoph C. Cemper. Learn from the experience that he got by running an SEO and Content Marketing Agency. Find out which positive effects Google Penguin had and how you can use this for your SEO. At the end of the episode, you will get an exclusive tip on how you can build links without risking a penalty. Marcus Tandler from OnPage.org - the European Search Personality of the Year gave an exclusive interview to Christoph C. Cemper in a Search Awards special edition from the hotel room in Krakow. In this podcast, Marcus shares learnings from many years of experience in SEO and Online Marketing and explains how SEO has changed over the years. He also describes the importance of links and link building and takes away your fear of "exact match" anchor texts. The topics site-speed and UX are also of huge importance at OnPage.org. Listen to the full podcast to learn more. If you missed the European Search Awards night in Krakow, here’s a short video of the announcement of the European Search Personality of the Year Award winner. You’d better stay tuned. There are more great interviews to come. Since April 2017, we can do much better in analyzing bigger backlink profiles, thanks to an additional external commercial link data source we added, our 25th link source. This is why, in some reports, you will stumble upon a warning that your report is outdated and you only see a fraction of the links you could analyze. In this case, we strongly recommend that you use the plan with the best analysis power and re-run the report to see all the backlinks that we now find. Don't forget that we still recommend that you upload your link lists and connect as many link data sources as you can to get the most detailed overview of your backlink profile. Google takes all your backlinks into consideration. All your backlinks are important. Even the old ones. Analyzing only a part of your domain is like doing a health check only for half of your body. Think of all the negative SEO out there. Think of all the old, spammy links you never disavowed. They are still part of your backlink profile, hurting your rankings and ready to trigger a Google Penalty any time. To do a complete and professional backlink audit, you need to look at all the links and have all the risky ones removed or disavowed. If you don’t see them, how could you remove these links? 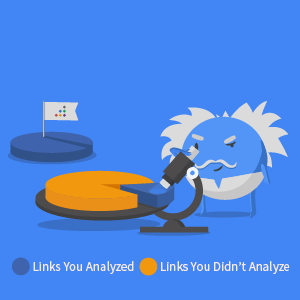 For this reason, LinkResearchTools (LRT) does not support partial backlink audits. We have the link data, and the infrastructure that supports link audits for any backlink profile. Whether it’s a small website or an international brand, we can show you a full picture of your backlink profile. No, it’s not possible to download all the raw data. Why would you even want that? LinkResearchTools (LRT) does a great job at filtering duplicates and cleaning up all the backlink data for you. You have the LRT-quality data at your fingertips, and this saves you countless hours that you can put into achieving something much greater than filtering duplicates in Excel. We have a lot of new features in the pipeline, but – Data-Quality, Usability, and Performance remain our main goals.